Chesterfield have signed former Blackpool and Millwall midfielder Angel Martinez on a two-year contract. The 29-year-old Spaniard, who began his career as a trainee at Espanyol, was released by Millwall at the end of last season after one season at the Den. 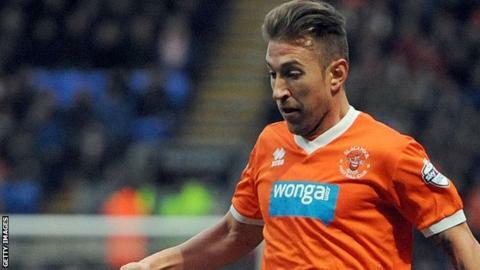 He made 73 appearances for Blackpool in a three-year spell that began in 2011. "We've been waiting and waiting to sign him," Spireites boss Dean Saunders told the club website. "With his experience, I'm sure he'll make us better." The former Spain Under-21 international played just four first-team games last term.